Sims is on the Board of Regents of Washington State University. He was appointed to the board by former Governor Chris Gregoire. The Board of Regents is the university’s governing body. As County Executive, Sims was nationally recognized for his work on the integration of environmental, social equity and public health policies that produced groundbreaking work on climate change, health care reform, affordable housing, mass transit, environmental protection, land use, and equity and social justice. 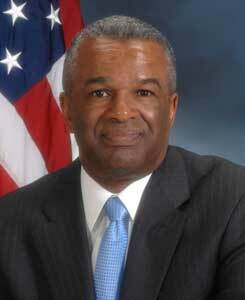 Born in Spokane, Washington in 1948, Sims is a graduate of Central Washington University. "Ron Sims has served many years as an elected official. He was appointed by President Obama as Deputy Secretary for the U.S. Department of Housing and Urban Development, after serving three terms as Executive for King County, Washington, the 13th largest county in the nation. As County Executive, Sims was nationally recognized for his work on the integration of environmental, social equity and public health policies that produced groundbreaking work on climate change, health care reform, affordable housing, mass transit, environmental protection, land use, and equity and social justice."